One of the ways T3 has changed in recent times is that we cover a lot of home goods. Well, why not? They certainly involve a lot of advanced technology, and even sometimes apps. And to reflect that, among the lengthy list of T3 Awards shortlists in 2018, there are no fewer than 10 home and white goods gongs to be fought over by the cream of the world's homewarez brands. The T3 Awards 2018 are this Thursday at the Ministry of Sound, and these are the home and garden gadgets that will be in the tech VIP area there, both literally and figuratively. So what follows are the winners in all the home categories apart from white goods (aka 'big stuff that goes in your kitchen'). Deep breath now, here they come: Best Home Appliance, Best Home Air Improvement Tech, Best Vacuum Cleaner, Best Small Appliance, Best Personal Grooming Tech and… Best Garden Tech. Phew. The home tech champion of champions, the Cyclone V10 Absolute is one of only two gadgets to win more than a single T3 Award this year. You'll find out what the other one is on Tuesday. It's a real step up for cordless vacs. As a pure handheld for dusting your surfaces and cleaning out your car's foot well it's actually not as great as its predecessor, the V8 Absolute. 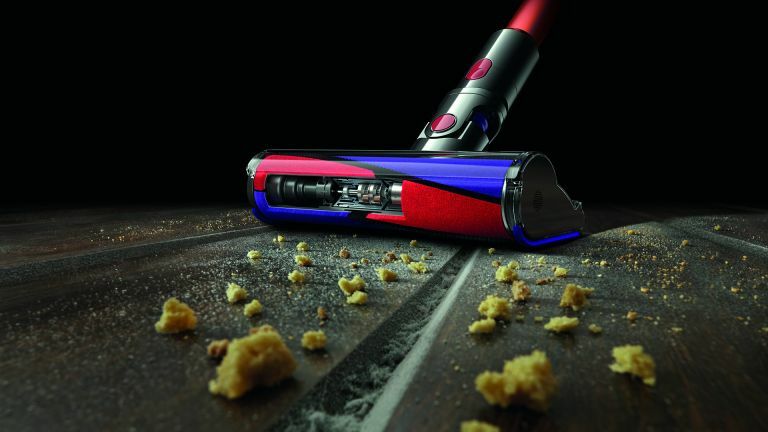 However, it's also the first battery-powered vac that's truly happy as a 'proper' vacuum cleaner, to the extent that Dyson has abandoned developing new, corded ones. A few years ago, Dyson would have been a shoo-in for T3's Best Vacuum Cleaner category (had it existed) for its cordless handhelds, but competition is now getting really fierce from Vax, Gtech, Bosch, Philips and Shark. However with the V10, Dyson raised its game enough to be declared both best in class and the most essential bit of home tech this year. Now, Dyson, when's that car coming…? Highly commended for best vacuum cleaner: Neato Botvac Connected D7. This is easily the best robot vac you can buy, with very handy programmable 'no-go zones' to keep it away from those bits that robots just can't cope with. Of course, what you really want is a robot that can deal with any obstacles but for now, this is the state of the art. A slightly incomprehensible phrase that basically means 'kit for your kitchen that's smaller than an oven or fridge', the small appliance is the heavy infantry of the homewares army (white goods are the tank division). War analogies, while crass, are perhaps apt here as Sage's The Oracle Touch does have the look and build quality of a bit of military hardware. It also makes fantastic coffee with touchscreen controlled ease, but the air of being a real barista coffee shop machine, which is very unlike most other bean-to-cup machines. As a status symbol, a piece of tech, an example of great engineering and a maker of DAMN fine coffee, the Oracle Touch is without equal in the 21st century kitchen. If Philips put it in the back of the net with the Series 9000, it proceeded to shred the net, declare the match over, and head off for Champagne with the Prestige version of it. There's never been an electric razor with this cutting power, or this much cutting-edge tech. It even recharges wirelessly, just like your phone. Men's electric shavers, shapers and trimmers have got ridiculously good in recent years but the 9000 Prestige really takes the cake and, erm, removes all the hair from it. First up, apologies for that Award title but we just couldn't figure out how else to say 'Best fans, air purifiers, humidifiers, dehumidifiers and fan heaters' in a way that would fit on a small-ish title card. The 2018 update of Dyson's app-controlled, combined fan and purifier added a whole range of new info screens so you could see more precisely what horrors it was filtering out of your air. It also runs quietly and efficiently, looks great and the app has improved a lot. Highly commended: Falmec Bellaria. In terms of making air purifiers look like works of art (as opposed to what they normally look like, ie: recycling bins), Falmec out-Dysoned Dyson with the Bellaria. Made of Venetian glass, it looks a picture, but with Falmec's air-cleansing know-how inside, it also works a treat. We're not sure anyone is thinking much about gardening right now, although they might be firing up the ol' leaf blower. However, think back to the heady days of summer and the big story of 2018 was cordless lawnmowers. The daddy of such beasts, we decided, is the Stihl RMA 235. The genius of this redoubtable little garden companion is that it adjusts the speed of the blade depending on the length of grass. Hence, when tackling long stuff, it ramps up to full speed and when it senses little resistance against the blades it backs off to a gentle hum. This makes it more enjoyable to use and extends battery life. For lawns up to around 60 metres square, there's nothing to touch this Stihl.